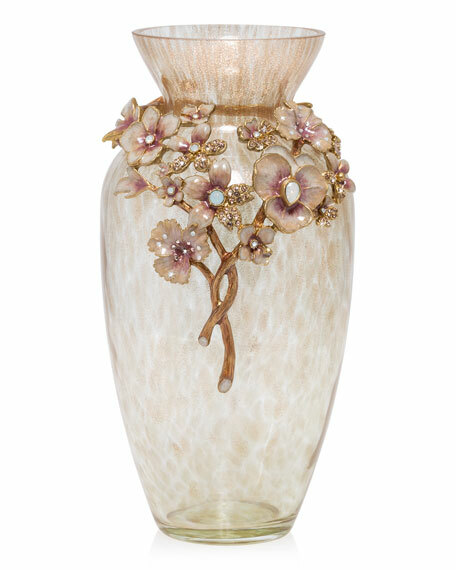 Handcrafted, hand-painted mouth-blown glass vase. Metal stems, flowers and leaves. For in-store inquiries, use sku #2282919. 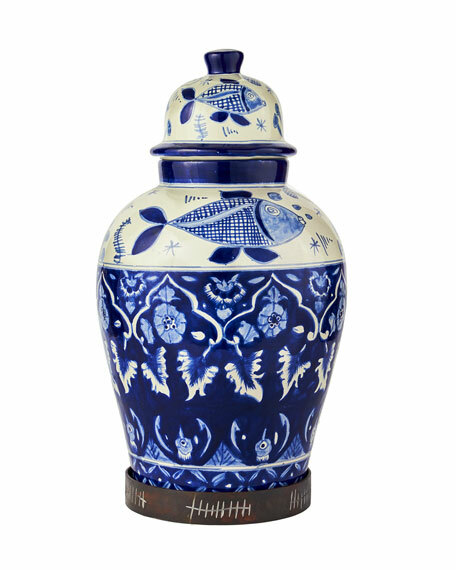 Hand painted Talavera "fish" jar with etched iron stand. 12" x 12" x 22". Imported. 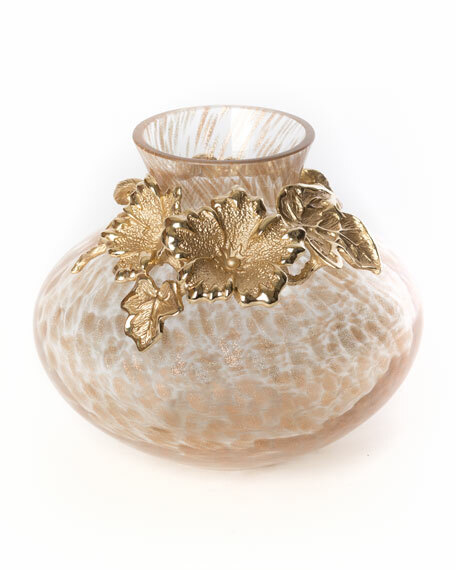 Handcrafted glass vase with gold frit. Pewter plated in polished 14-karat gold. Hand-set Swarovski crystals. 6.5"Dia. x 6.25"T. Imported. Exclusively ours. Hand-painted glass vase from the Jungle Collection. 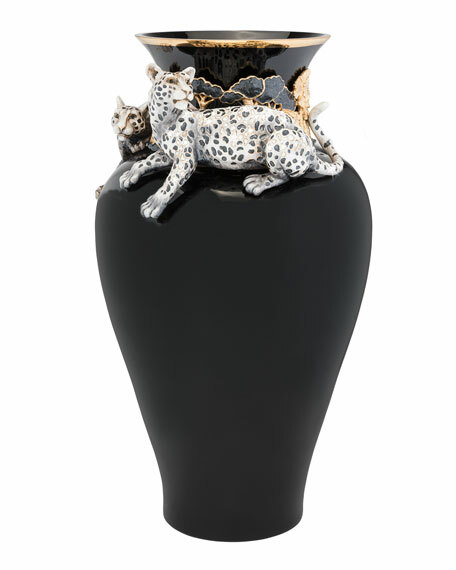 Handcrafted leopard figurines at neck plated with 18-karat gold accents and crystals. Rhodium plated metal with pewter base. 13.5"Dia. x 22"T. Imported. 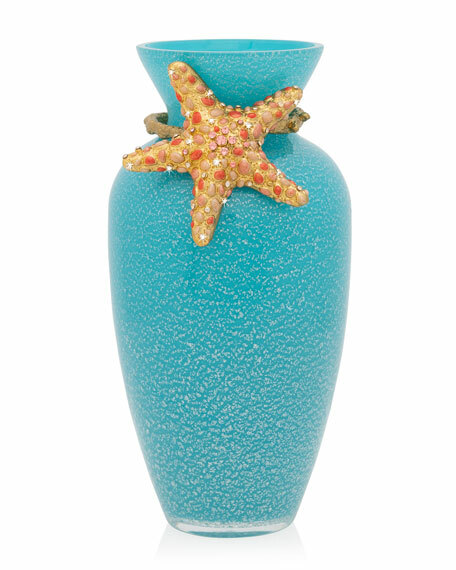 Glass vase featuring 14-karat matte plated gold starfish. Detailed with Swarovski crystals. 4.5"Dia. x 8"T. Imported.